Best Buy Bummer: $9.99 HDTVs an "Error"
They want their HDTVs, damn it! Best Buy's going to have to pony up tens of thousands of dollars in merchandise -- or customer ill will. Sometime late last night or early this morning, BestBuy.com listed a 52-inch Samsung HDTV as $9.99. The listing has been fixed and relisted at $1,699.99 -- and it's also marked "Sold Out Online." A crowd was gathered outside the Best Buy store located at Potomac Yards in Alexandria, Va., waiting for it to open this morning. Many of the potential shoppers had printed out the online ad and brought it with them. As shoppers were informed of the error, many erupted into anger or dismay, one would-be shopper, Chante, told us. 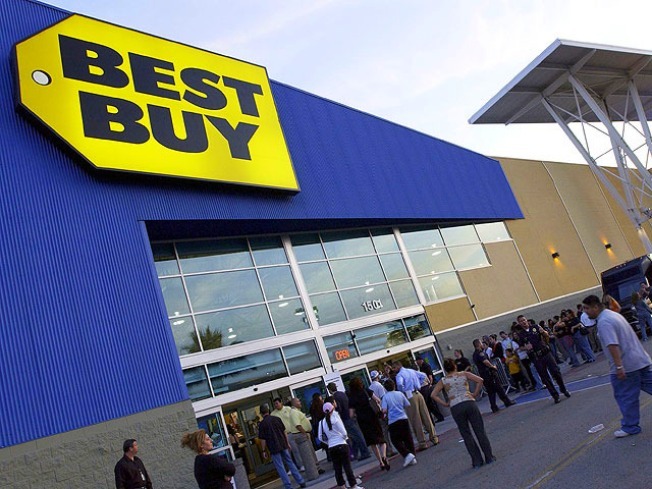 "While we are truly embarrassed that this occurred, Best Buy will not be able to honor the $9.99 price indicated for the TV on our website as it is an error," said a rep in a message on BestBuy.com. " All current and previous orders made for the TV at this price on BestBuy.com will be cancelled, and customers will be refunded in full for the purchase." Participation on Best Buy's online forums has exploded since early this morning -- first with glee as customers saw the 99.5-percent discount, then with outrage. Those who have been able to speak with customer service reps have been told their orders will not be honored, as seen in one message board thread here. Let's think about that for one second: Best Buy didn't have anyone around who knew how to actually update their Web site. Yep, they're at the forefront of technology all right! Prices and availability of products and services are subject to change without notice. Errors will be corrected where discovered, and Best Buy reserves the right to revoke any stated offer and to correct any errors, inaccuracies or omissions including after an order has been submitted and whether or not the order has been confirmed and your credit card charged. If your credit card has already been charged for the purchase and your order is cancelled, Best Buy will issue a credit to your credit card account in the amount of the charge. Individual bank policies will dictate when this amount is credited to your account. If you are not fully satisfied with your purchase, you may return it in accordance with Best Buy's Return Policy. Maybe it's not the "best" buy after all.